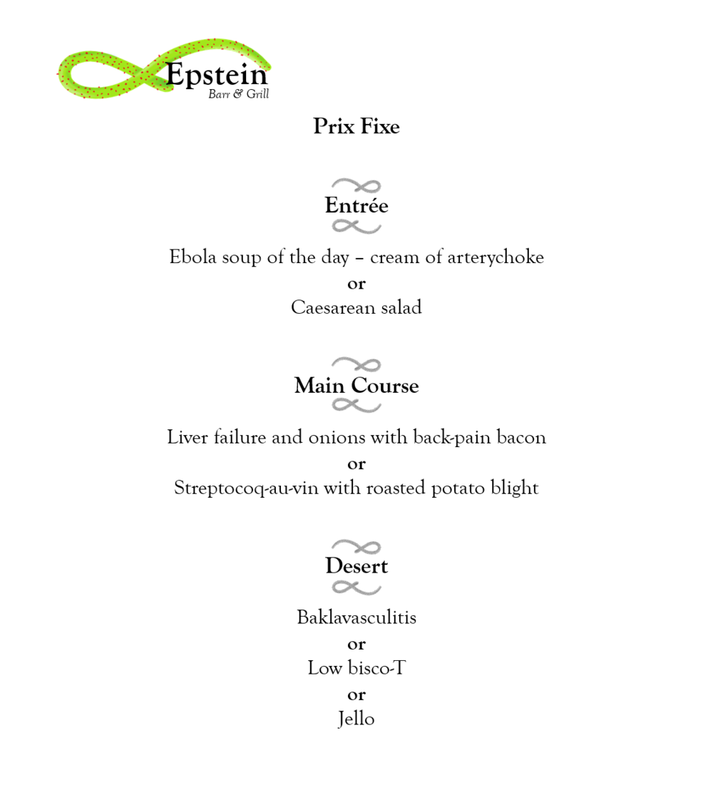 The new prix fixe menu for our disease themed restaurant is now set! Take your time, no rush, and can I start you off with any fluids? Saline drip for the table?